I cannot wait to see Maleficent! 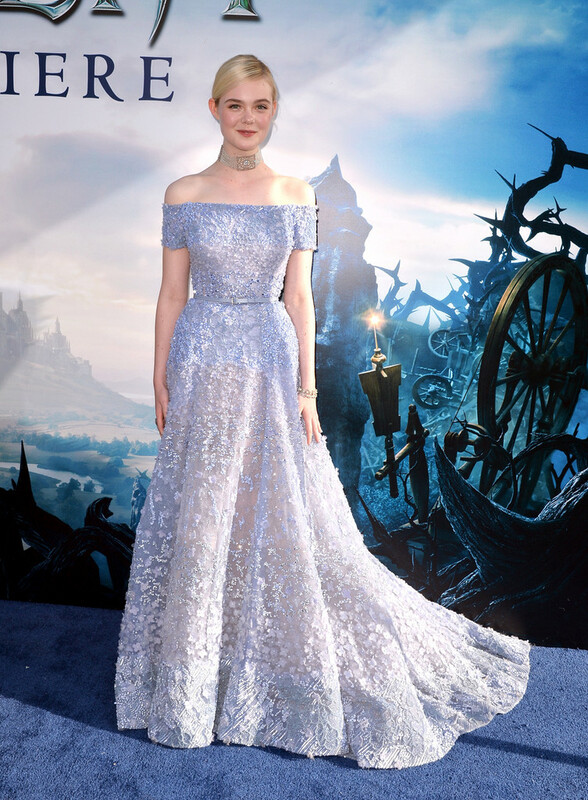 One of the film’s stars, Elle Fanning, looked like the belle of the ball at the movie’s World Premiere in Hollywood in a powder blue, off-the-shoulder, belted embellished gown from Elie Saab’s Spring 2014 Couture collection. She’s beyond adorable! Visit www.eliesaab.com for more information and see Elle’s gown on the runway below.